Dare to be different, with the brilliant Antigua Cantilever Umbrella – a perfect 3 metre square with so many options for coverage, you will be absolutely thrilled with your purchase! Stylish shade has never been so luxurious, with the extraordinarily sophisticated presence of the Antigua Cantilever Umbrella in chic Taupe. 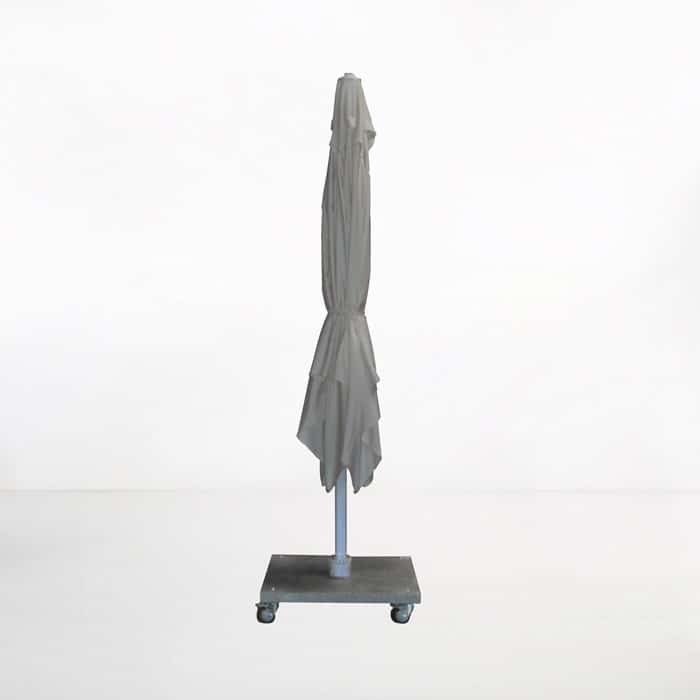 The canopy is made of Sunbrella® fabric in taupe. The pole is made from heavy duty powder coated aluminum with #316 Stainless Steel fittings ensuring strength and durability. 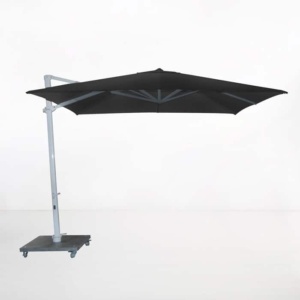 The outdoor umbrella base is included – it is a heavy, square, granite base with wheels and locks on it so you can move it easily from space to space! See the Antigua Base for more details. 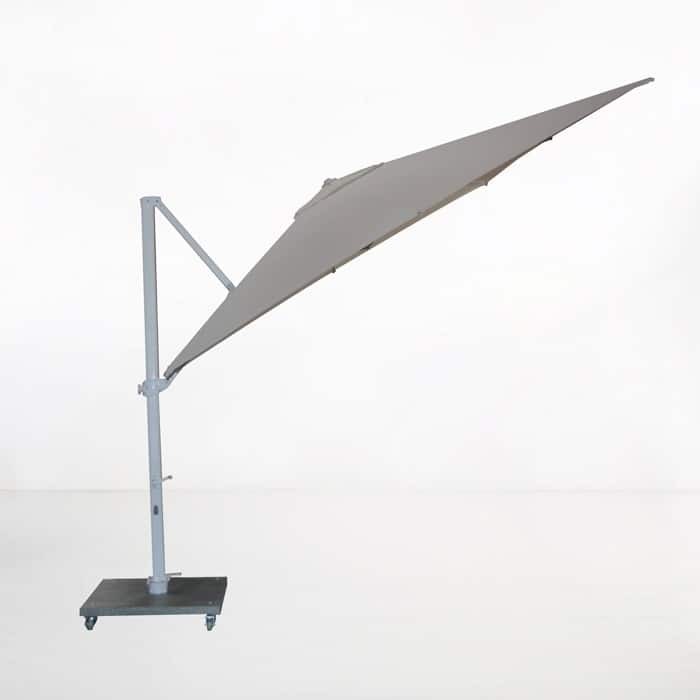 The Antigua Cantilevers, also available in three other colours, are simple and beautiful off-set umbrellas. With a square canopy resting on an elegant, angled frame, with built in foot pedal and height adjustment, the Antigua patio umbrella is one that packs a punch and offers incredible versatility. Whether you want to shade some relaxing chairs, or perhaps an outdoor dining set, this is the cantilever that will work for you! Imagine your large backyard, where the sun beats down in the afternoon. It’s the perfect place to host parties, dinners, and relax with friends. But you want sun protection, and you want something sumptuous and stylish to finish off the look. Start with some teak deep seating with Taupe Sunbrella® cushions, place your teak dining table nearby and perhaps opt for a wicker chair with the matching Taupe cushions and then comes the icing on the cake…. 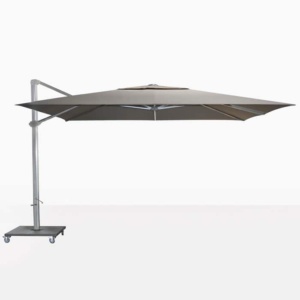 A gorgeous Antigua Aluminium Cantilever Umbrella in Taupe, which will not only do the work it needs to, but solidify your space as one epic outdoor living area. 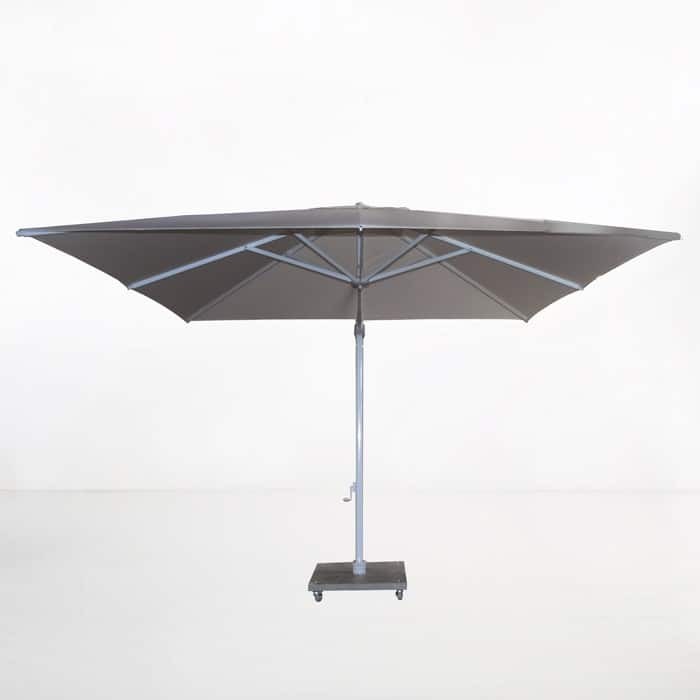 The Antigua Aluminium Umbrella is made from powerful all weather material, firstly the brushed, powder coated aluminium fitted with #316 stainless steel bearings, keeps the frame looking neat and tidy while ensuring your umbrella will withstand strong winds, high heats and extreme rain. 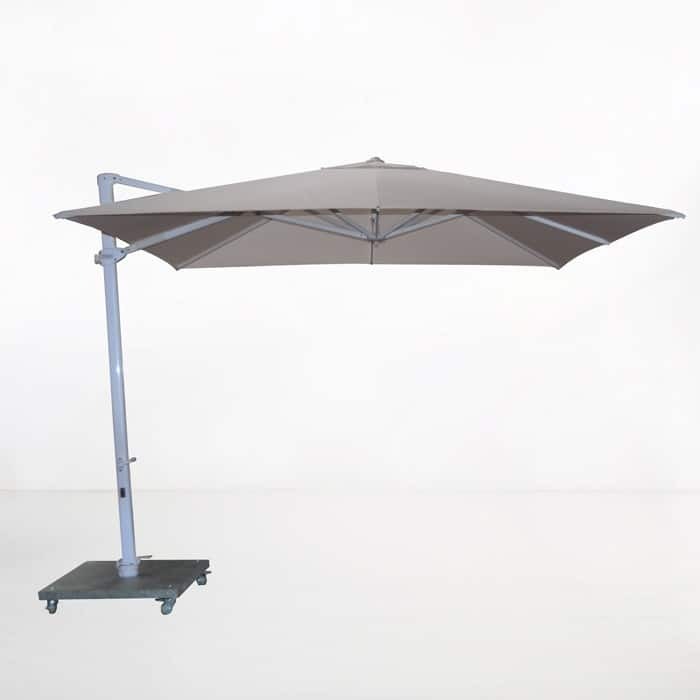 Then comes the beautiful canopy, which made from 100% Sunbrella® material, is UV protected, giving you even more protection from the harsh sun. 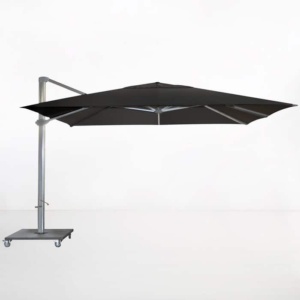 At Design Warehouse, we are proud to carry an incredible range of outdoor umbrellas, cantilevers and bases. Contact us to learn more about the Antigua 3.0 Metre Cantilever Umbrella in Taupe or any of our other umbrellas, we have many options. Call us today to order your Antigua Aluminium Taupe Cantilever and change the way you live in the great outdoors… with tranquility, calm, quality and style.